Although not essentially necessary a basic understanding how the anomaly detection algorithm used in this tutorial works is very beneficial. I won’t make it too complicated, I promise. (Note that the mean x-dash from the previous formula is now denoted as Greek letter mu but I won’t go into the details here). So what you can observe is that (although the formula looks slightly more complicated) is that the distance between every data point (or measurement) and the mean is evaluated and somehow summed up. So the more distant data points are spread around the mean the higher the measure for standard deviation is. This is important because if your data is already widely distributed around the mean detecting an anomaly needs data to be spread even more far away from the mean. 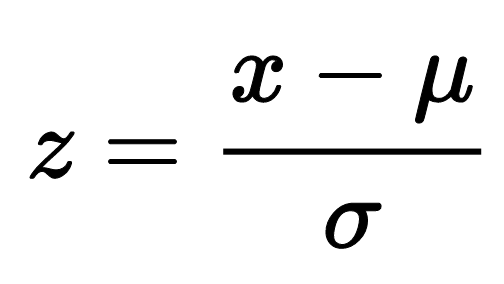 This means, for every measurement just subtract the mean and divide it by standard deviation. 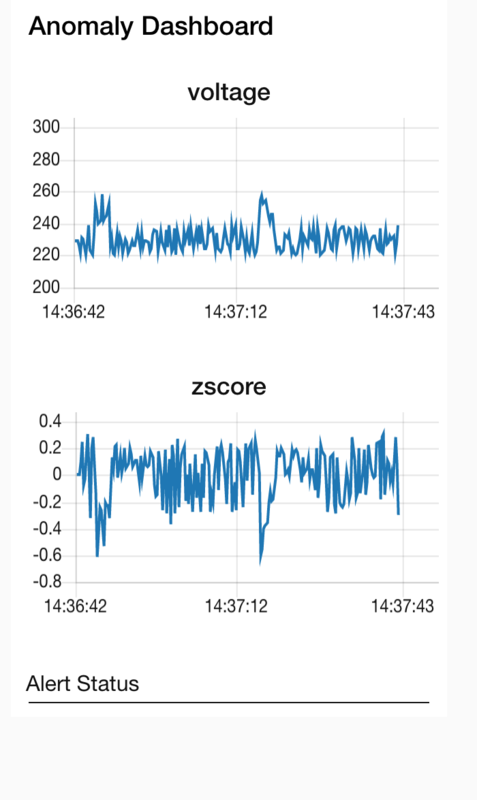 So we are nearly done, the only thing what we have to do is to turn this into a “moving z-score”, we want to detect anomalies on time series, right? The trick is as simple as follows. Instead of using ALL measurements for calculating mean and standard deviation we just take the latest k measurements into account. This approach is called windowing and is described here very nicely. 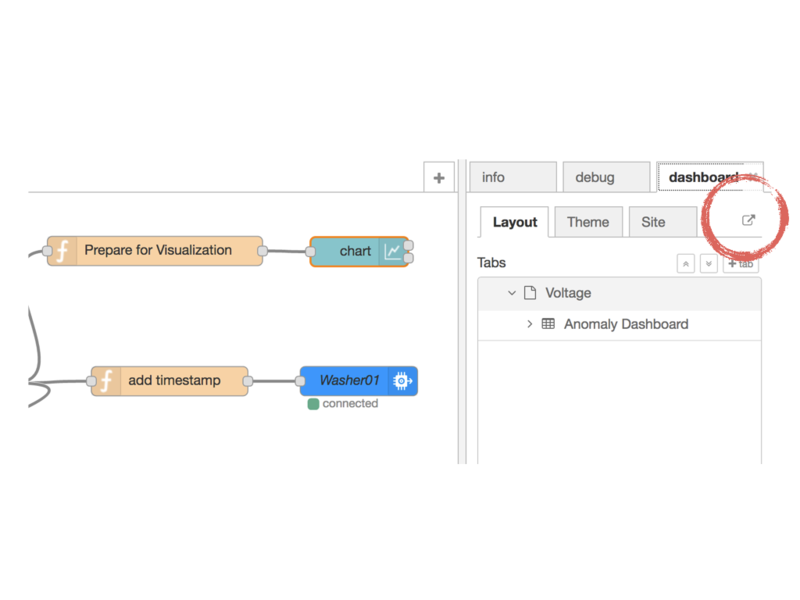 In order to make it fast-track, you can just click on the deploy button below which will automatically deploy a NodeRED data flow tool acting as device simulator in the IBM Cloud. It also comes with a pre-configured “edge” implementation of the algorithm mentioned above. As already mentioned, we are based on a full length tutorial which can be found here. 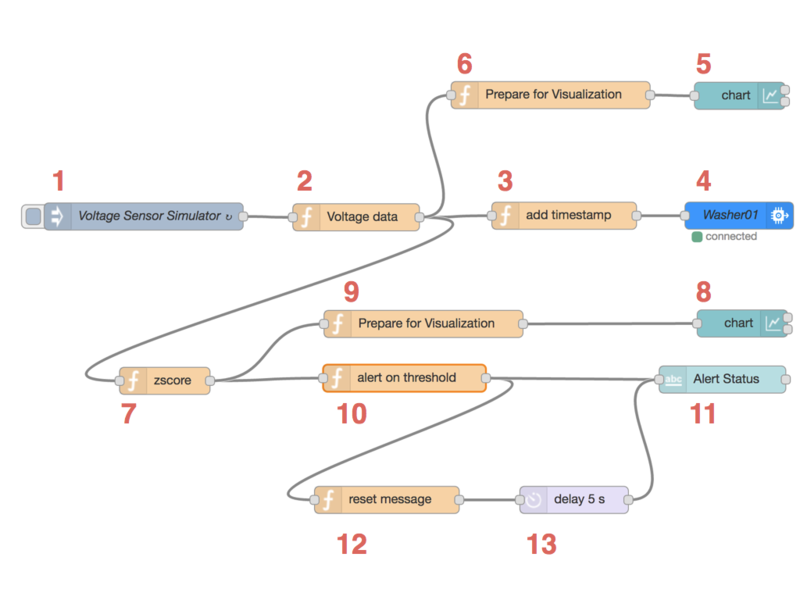 The full tutorial mentioned above explains you the concept of “Cognitive IoT” where advanced machine learning algorithms and neural networks can be trained and run on various locations (on the edge of an IoT system, in a batch processing system or real-time data processing system in the cloud). But in this fast-track tutorial we concentrate on the edge-rule only which has been obtained by running the full-stack process mentioned above. So what this basically does is it will create a NodeRED instance in the IBM Cloud with a data flow pre-configured for our application. 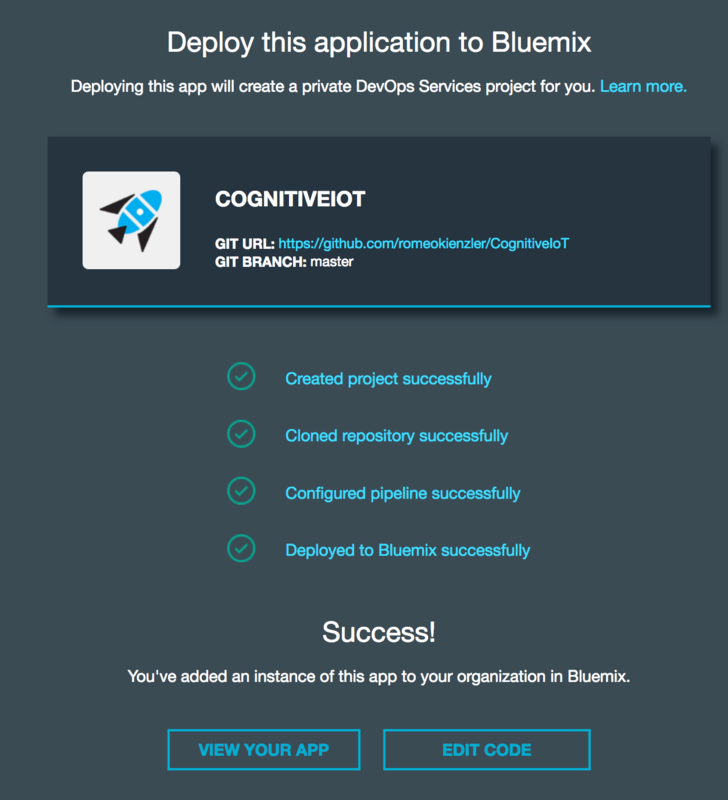 Please login with your IBM Bluemix account and click on “deploy”. Romeo Kienzler works as a Chief Data Scientist in the IBM Watson IoT worldwide team helping clients to apply advanced machine learning at scale on their IoT sensor data. His current research focus is on scalable machine learning on Apache Spark. He is a contributor to various open source projects and works as an associate professor for artificial intelligence at a Swiss university. Romeo Kienzler is a member of the IBM Technical Expert Council and the IBM Academy of Technology (#ibmaot) - IBM’s leading brain trusts. 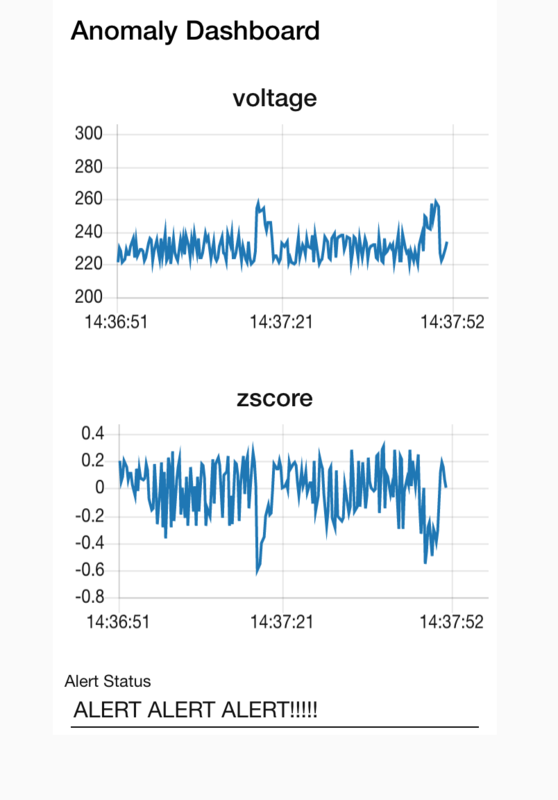 1 comment on"Real-time Anomaly Detection on the IoT Edge using NodeRED and moving z-score #ibmaot"
Hello, was trying to look at the example, but clicking on Deploy to Bluemix gets me ‘JazzHub is now retired. Projects are now toolchains.’ Any way to deploy to a toolchain? Thank you!